Tom Bissell was not yet born when his father, Marine Lieutenant John Bissell, spent his combat tour on the battlefields around Danang. He was barely out of infancy when Saigon (now Ho Chi Minh City) fell to communist forces in 1975 – itself an event that was highly traumatic for many returned war veterans like the elder Mr. Bissell. 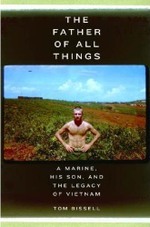 The Father of All Things: A Marine, His Son, and the Legacy of Vietnam, by Tom Bissell is a highly ambitious and ultimately successful work by a very talented young writer. Part history, part travelogue, part painful family biography, it centers on the two men's 2005 trip to Vietnam. There had been a close but sometimes uneasy relationship between the two ever since Tom Bissell's parents divorced when he was still a young child in northern Michigan. That prickliness flared now and then on the trip. But there was also an opening up between father and son. " 'Look at these hills,' my father said, pointing at the slopes and rises all around us. 'How we fought and scratched for them.' "Some brief, terrible recognition in his voice and eyes – some distance closed too quickly, some unexpectedly recovered past – spooked me deeply. My father was softly shaking his head." Having studied the war in great detail (which he analyzes quite convincingly in "The Father of All Things"), the younger man finally asks his father: " 'Dad, forgive me, but how the hell did you guys manage to lose? You had every imaginable advantage.' " 'Funny,' my father said, looking away. 'I was just thinking the same thing about that myself. What can I tell you?.... We had a lot of advantages, that's certainly true. But this wasn't our country. We were all a long way from home.' " Read more. In the end, I found myself liking the father more and the son less. The Bissells' visit to Hue -- the city near the Demilitarized Zone where, during the 1968 Tet offensive, the U.S. Marines won the battle but lost their country's support -- captures the flavor of "The Father of All Things." When the two men arrive at the Citadel, an imperial palace complex, Bissell Sr. pronounces the enclave "neat." That's not good enough for Bissell Jr., who prods his father throughout the trip for therapeutic exchanges that never come. At Hue, Bissell Jr. chides his father ("Come on, 'Neat'?") and then launches into a description of how the French, who once ruled Vietnam, found it "humbling" that Vietnamese culture was "hundreds of years older than French culture." Thus, Bissell Jr. says, the French were willing to negotiate once war started. He asks his father repeatedly whether he is "bitter" that the Marines didn't train him in cultural sensitivity. Bissell Sr. won't confess to bitterness on that score, but after sucking his teeth and thinking a bit, he allows that the U.S. could have accomplished a lot with humanitarian aid in rural areas if we had understood the country better. Read more. Their exchanges, in revealing the chasm between father and son, suggest how war creates two kinds of people: those who lived through it and those who will never understand what it was like to live through it. During the trip, Tom tries, time and again, to get his father to admit that the war isn't finished for him, and the more the father protests that he has come to terms with it, the more the gap between them seems to grow. When they visit the beach where his father first set foot in Vietnam, Bissell tries to get his father to talk. His father asks for a moment, staring at the ocean in confusion and recognition. "This was where the man I knew as my father was born," Bissell writes. "It was as though he were looking upon himself through a bloody veil of memory." Sons have always had to tell themselves a great many things about their fathers, those tall, whiskered, larger-than-life figures they aspire to be — and sometimes fear becoming. Perhaps no son ever fully reconciles himself to his father, for good or ill. Bissell's beautifully written book adds a chapter to the rich literature of familial struggle. Read more. It would be wonderful and heartwarming to report that the Bissells eventually have a transcendent moment of father-son bonding, but this is far too honest a book for that. The distance between them diminishes, but it never really evaporates. John Bissell does have an emotional moment where he puts the war to rest, but it is with a South Vietnamese veteran, not with his son, and I won't ruin it for you by describing it in detail. 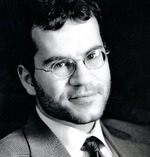 Tom Bissell seems more frustrated, and incomplete, than his father in the end -- which may well be the fate of his generation, and the next generation, of soldiers' kids. The devastating, messy slog of Bissell's literary journey reminds us that the answer to his question -- ''Why another?'' -- applies not only to books about Vietnam but also to arrogant, futile wars like Vietnam ... and Iraq: Why another? And again, why another? Read more. Read more about Uzbekistan RPCV Tom Bissell and his writing. Read more about Peace Corps fathers and sons.